*I was not compensated for writing this post in any way. I simply loved using this service and want to share it with you. This post does contain affiliate links. 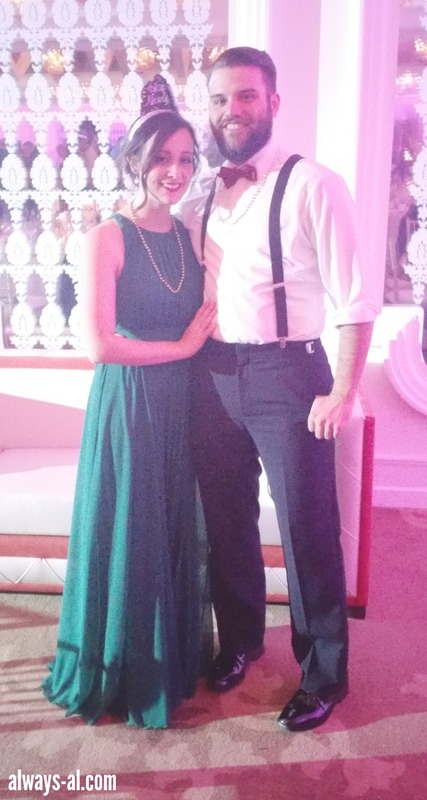 On New Years Eve, two of our friends got married in a beautiful ceremony and formal/black tie reception in New Jersey. It was seriously amazing. When I saw the invitation, and learned that as a groomsman, Dave would be wearing a tux, I freaked out a little bit. I don't really have anything to wear to a formal reception... and most of my cocktail dresses are really too big to be very attractive. Sweating for the wedding will do that to you. I first heard about Rent the Runway from my Aunt Cynthia. She's rented things for a couple different events and liked the experience. So when an ad came up on my Facebook feed I decided to check it out. It was worth a look, and I knew that I could rent a gown for pretty cheap. So I logged on to Rent the Runway and immediately started browsing. I loved that you can search by size, silhouette and length. There were so many options and all were very affordable. I picked the dress that I wanted, and made sure to order it in a backup size. When it arrived it was packed in a garment bag with a lock. While it was shipping I was able to track it the whole way. And then I had a heart attack because both sizes of the dress I ordered were too big. The awesome thing is, that Rent the Runway will send you a new dress if the one you order doesn't fit. You simply need to pay for the shipping. Unfortunately they didn't have the dress I ordered in a smaller size. But the person that I talked with at customer service was amazing, and helped me find a new dress in the right size. He was very knowledgeable about designers, colors, and how each garment should fit. Since that was a rush, I ended up having it shipped straight to the hotel in New Jersey, and it was there when I arrived. Ultimately I chose to wear the Badgley Mishcka Fluorite Emerald Gala Gown. This dress was so classy, and I got so many compliments throughout the night. It was perfect for the occasion, and I felt very comfortable dancing in it. I think the stylist that helped me in customer service did a great job suggesting this dress to me. 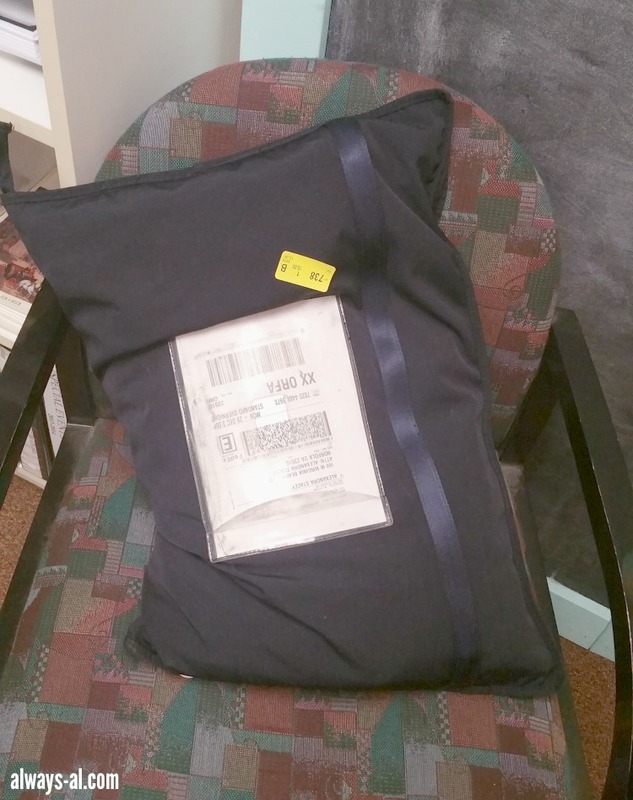 After the wedding, to return my dress all I had to do was pack it in the garment bag, and put the pre-paid shipping label on it. I dropped it off at my local UPS store, and it was sent back to Rent the Runway. No dry cleaning needed on my end. If you are looking to rent something from Rent the Runway, I highly suggest taking advantage of their coupon codes and sales. I was able to get $25 off of the rental of my dress by using a discount code. Also, if you have any questions about a garment or need any help with your order, the customer service line is amazing. I asked so many questions about the second dress, which ultimately led to a great look and fit for me. Better chat with them than regret your rental. Rent the Runway is an amazing concept, and they have excellent customer service. I was so pleased with the timing of when my gowns came in, as well as the quality. I have been recommending them to pretty much everyone. I certainly wouldn't have worn a beautiful Badgley Mischka gown to this wedding if I didn't rent it. Have you ever rented clothing for a special occasion? 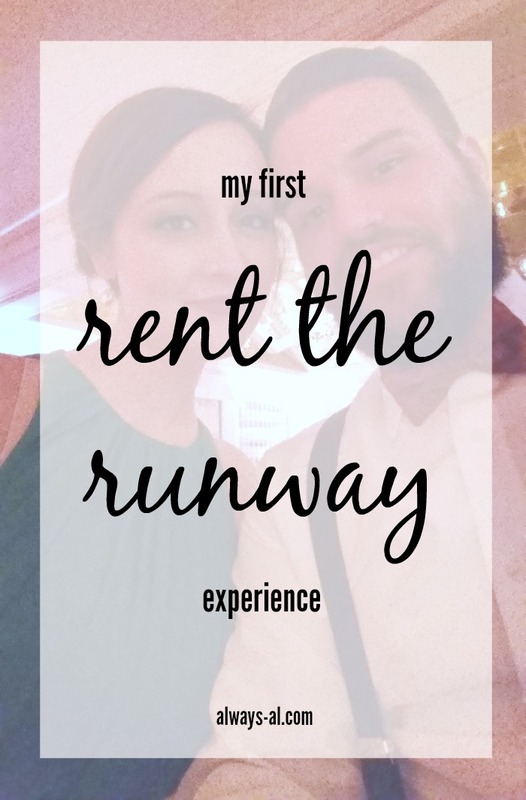 Have you ever used Rent the Runway?